Hob. Time: 20 minutes. Allow approximately 60g of quinoa per 180g cooked serving. 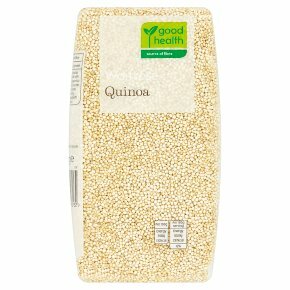 Wash thoroughly to remove any impurities ……Place 120g of quinoa in a saucepan with 360ml of fresh cold water, bring to the boil, reduce heat and simmer gently for remaining time until cooked and all the water has been absorbed.